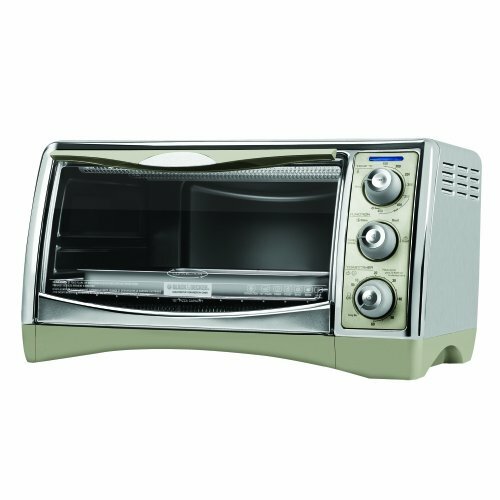 The Black & Decker CTO4500S Perfect Broil Convection Toaster Oven is a versatile product that can be used as a countertop oven. It has a sleek design and cooks great food. It doesn’t take up a lot of space or use too much energy, and therefore ought to be an economical choice. However, when I research its recent reviews from the owners who have used this oven for months, I found that it has some serious safety issues. This feature adds extra points to this oven because convection baking feature makes an oven cook evenly and faster, saving energy and increasing cooking quality. This oven can be set to stay on for as long as the user wants. What Do Owners Say About The Black & Decker CTO4500S? Space & Energy Saving – For a 6 slice oven, It has a relatively small countertop size, and so it is an ideal product for normal families who don’t have large kitchens, or students who are looking for a toaster/small scale oven for their daily needs. Users have also noted that it uses less power than larger models, and so helps save on utility bills. Fashion Look – As an added plus, it has a beautiful steel body and sharp design, which makes it nice to look at. Owners say it matches their kitchens quite well. Safety Issues – If without safety issues, I will give this oven a rank “A-“, however it only deserves a “C”. According to owners’ reviews, sometimes the food will catch on fire when this oven is toasting or baking. It is also reported that the glass door even blows out, which is pretty scary. Also, when you open the oven, the tray does not come out using the prongs feature like other ovens, so you have to reach in to pull it out, and cause risks burning your hand if you are not wearing oven mitts. Knobs – A common problem which people have come across with while using this product is the design of knobs. The knobs are slightly hard to turn, but have a very smooth surface, so they are not as user friendly as expected. Design – There are also some design issues with the door. Some owners point out that it does not close correctly if you are using tray hooks on the hinges. This oven is designed for families that has 3-5 persons and individuals who need a 6 slice with relatively small size, versatile and efficient oven. It cooks well but has some design and safety problems. Although I don’t recommend this product, you can still have a try if you like its fashion look. After all, this is a popular product which sells quite well in the market and people who met serious problems are a small group.